Contour and Highlight is literally my favourite aspect of makeup. Done right it can give you cheekbones to die for and make your face look slimmer and more defined. Kate generously bought me this for my birthday and I've fallen head over heels for it. 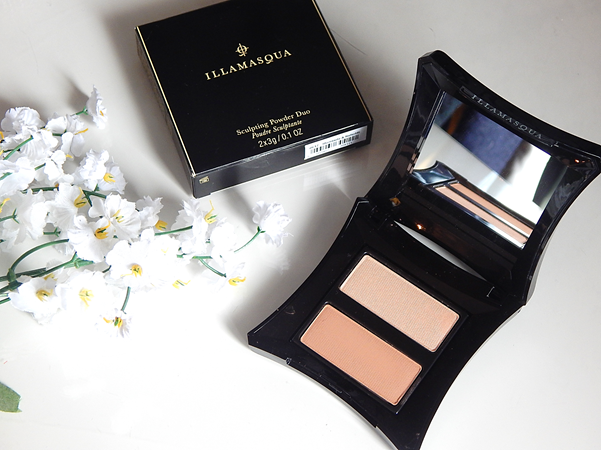 Illamasqua's Sculpting Powder Duo in Illuminate and Nefertiti (£26.00) is insanely pigmented and is downright stunning when applied to the face. I've not used anything else for contour and highlight since Wednesday and it's an absolute dream to blend. The contour shade doesn't come off as orange or muddy on the complexion and the highlight adds the loveliest of sheens to wherever you choose to pop it. This has definitely made it into my favourite top 5 products of all time - thanks again Kate!